A spring is an essential part of the motorcycle. It has to keep the motorcycle, with rider, passenger, luggage in the correct riding position and keep the wheels in contact with the road, while shifting up, while braking, while cornering, on the straight, in short, in every circumstance. During those circumstances, the need of the rate of the spring in ideal situation is changing continuously. 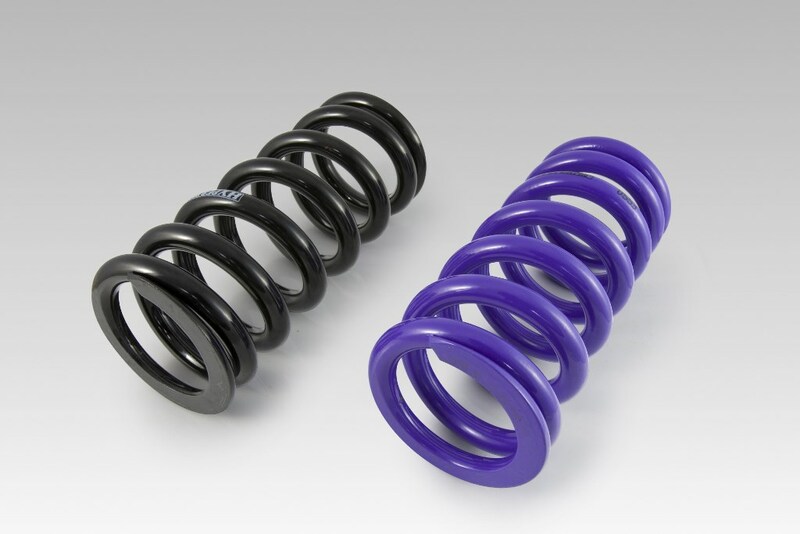 Therefore Hyperpro designed the rising rate progressive springs. Not only for the front fork, but also for the rear suspension. Using the correct springs gives you better a balance and control, a shorter and more controlled braking distance, an improved bump absorption, better load capacity and the possibility to adjust the ride height of the bike. Our products are supplied in “plug and play” kits including all information to install and adjust the suspension of the specific motorcycle… your motorcycle! The Hyperpro front fork springs are mainly progressive to give the best performance. 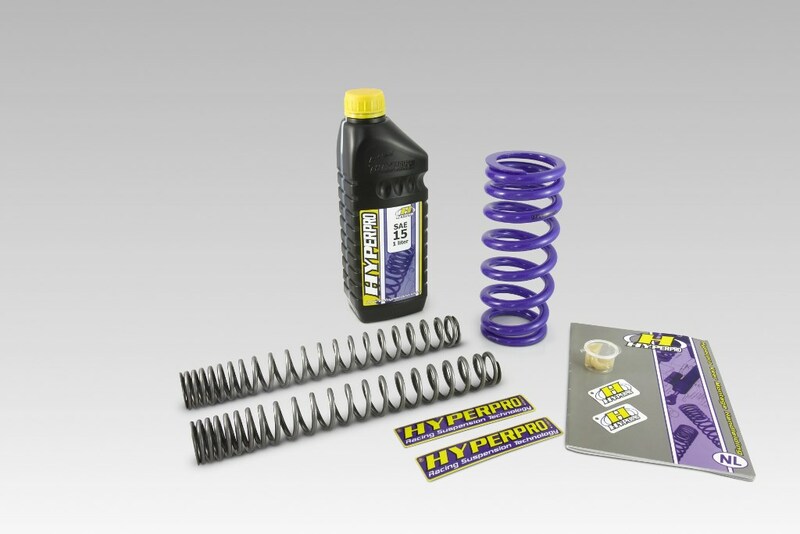 The Hyperpro shock spring is designed to fit on the OEM shock and replaces the OEM spring to fit your needs. 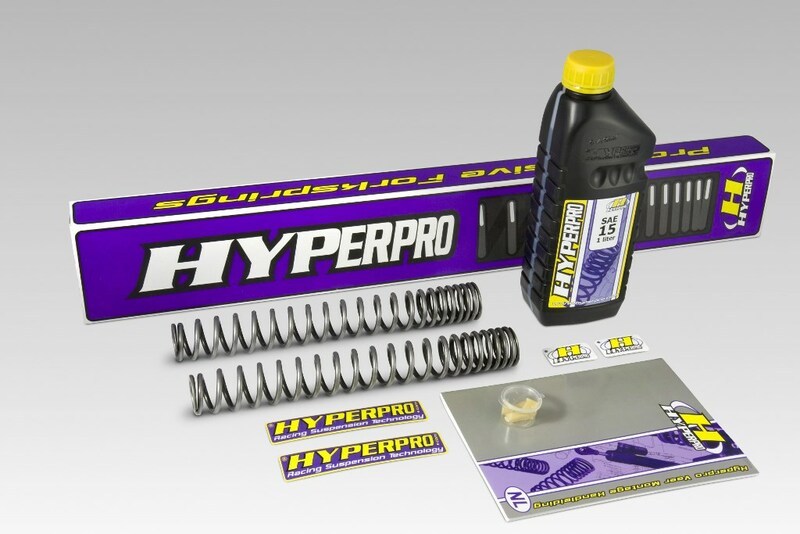 The Hyperpro Combi Kit is the most cost-effective suspension improvement package available for your bike.